Most CV writing companies focus on sales. With us it’s CV excellence - we don’t even have a sales team! Most clients come to us via personal recommendation. Consequently, we take on far fewer clients than other firms, but we like it that way - and it means we can focus more on you and your goals. If you contact us, your query will not be met by a salesman, but a real top UK CV specialist, and in all likelihood a respected career sector author. We won’t bamboozle you with statistics, gimmicks or sales tactics. We’ll simply answer your questions honestly and transparently, and if you decide you want our help, then we will help you - and like no other executive CV service! 99% of professional executive CVs are written using the same old flawed and outdated methods that have been around for decades. Ours CVs, on the other hand, are more modern, and are written to pioneering new techniques that have been especially developed by the UK’s top CV writer. Most executive CVs are much of a muchness, and with competition being fierce at senior level it is difficult for executives to stand out from the crowd. If you want to your CV to shine, then you have come to the right place. The quality of CV writing companies varies enormously, and there is even a distinction between the best and the best of the rest, let alone the good, the average and the bad. We are so confident you won't get a better quality executive CV anywhere else that uniquely we are the only company to guarantee this. Success doesn't come about by chance with job applications, and especially at board/executive level. If you want your applications to succeed then you need to do what you can to shine head and shoulders above the competition. We have vast experience helping senior level clients do just that. We help senior managers, directors, executives, MDs, CEOs, COOs, CFOs, CIOs, CTOs and other executive level clients. Significantly, we help clients in all sectors including business, finance, banking, accounting, IT, media, marketing, PR, medical, logistics, engineering, retail, sales, construction, supply chain, transport, academia, science, consultancy and much more. Some people are also surprised to hear that we also help very senior level professionals in job/sectors that you would not necessarily expect. For example, clients who come to us for expert help and a significant advantage over their competitors include HR directors, communications heads, senior recruiters, headhunters, and career company boards of directors. Most of our clients come to us as individuals, although occasionally companies engage us to write CVs for their board, or for several of their directors. This can be for various reasons including CVs and personal bios to promote their team to potential clients or for bids and tenders. 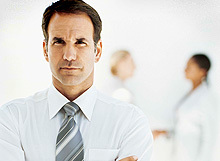 On occasion we also help company directors as part of redundancy packages or for loan/investment proposals. We can provide VAT receipts to individuals or companies who wish to claim our costs as a business expense to offset tax. Many of our clients are based in the UK, at the same time we regularly help senior level clients from all around the world, and from a broad geographic area including Germany, Switzerland, USA, Japan, India, Australia, France, Canada, UAE, Saudi Arabia, South Africa, Brazil, Norway, Denmark, Nigeria, Ireland and pretty much all corners of the globe. Wherever you are, we can help you – and like no other executive CV service. We have an international reputation for excellence and a global reach. We are used to helping busy senior level clients wherever you are in the world. Cut short – we can give you the very best executive CV that you will find anywhere, from any professional CV service, at any price. Our CVs are not the typical, standard documents that you get from other companies, but are high- impact, standout job-winning documents based on the latest CV writing research and sales and marketing principals. 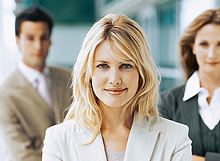 Our CVs are tried and tested to achieve outstanding results in the senior level job market. We have helped many of your executive competitors previously – and we will be happy to help you too. We are not one of the usual CV writing production lines, employing inexperienced and unqualified freelancers to churn out substandard general CVs written to flawed and dated methods on an industrial scale. On the contrary we are a small team of the cream of the crop of UK CV writers. Our methods are pioneering and are tried and tested to get better results. Uniquely we even guarantee that you will not get a better professional executive CV elsewhere. In addition to your CV, even the way we go about things is different. If you choose to contact us to enquire about our services you will not liaise with the usual sales/admin person, but a real, vastly experienced career sector specialist with extensive experience of advising senior level clients. We pride ourselves on our honesty, transparency and commitment to product and service excellence. We certainly believe you will not get a better CV or service anywhere else. All in all, there is no other company like us – which is one reason your CV should not only be different, but also better! Pricing depends on the service you require, as well as any optional extras you choose including cover letters, LinkedIn profiles etc. Pricing is given on our website, but you are also welcome to call us to discuss your needs and we can give you our recommendations together with an idea of costs. You will find that we are not the cheapest (we don’t claim to be a cheap generic CV service), but we are not the most expensive either. We believe that our prices are extremely reasonable for the tangible advantages we give senior level clients targeting very well paid jobs. We have an outstanding track record of success and believe our CVs represent not only value for money, but also excellent investments. You can order directly online or by telephone. We accept payment by credit cards, debit cards, PayPal and bank wire. If you have any questions or are unsure of anything before ordering please feel free to contact us with your query and we’ll be happy to answer. As mentioned, we don't use call centres and we don't even have a sales team. Consequently, if you contact us then there is a good chance that your query will be answered by the author of the most groundbreaking CV book in decades and the person who is widely regarded the UK's top CV writer. Well we did say we are not an ordinary company! We welcome and appreciate any comments and feedback about our professional services and/or website. Please submit your comments via our feedback form. Our CVs stand out like no other, and Paul’s book, published by top UK publishers Pearson Education is no ordinary CV book. 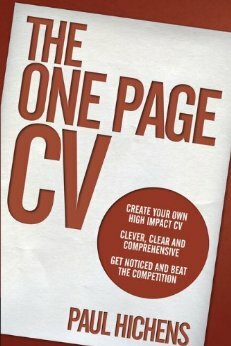 Amongst other things it exposes the flaws of traditional CV writing, and introduces radical, new, higher impact CV writing methodology based on real sales and marketing techniques. We are more than confident that we can help you like no other CV service. Please feel free to explore this site to discover just why. Copywriting and CVs – Partners?